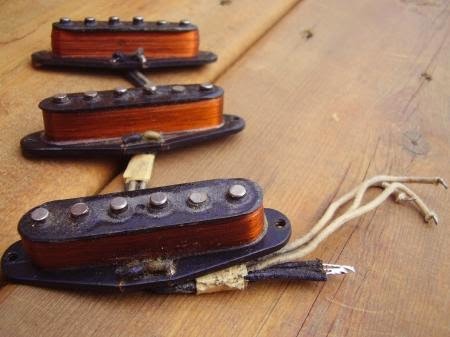 With the enormous amount of mojo about vintage pickups and boutique pickup makers vs current production pickups, it's not hard to become overwhelmed. Just know that there are great pickups in all categories; vintage, boutique or big brand-- and there are mediocre ones. And even if you can drop $5k for a vintage set of 50's coils, it's not a given that they'll sound magical. Without getting too esoteric, below are some consistent favorites according to trends we've been watching. Maybe you have a gnome connection down the street who winds amazing pickups with a fishing reel or a cordless drill out of a tree house... Those cats are around. I own some of their stuff. DiMarzio - HS-2 We only include this one as a bridge position suggestion as Eric Johnson uses the HS-2 in one of his 57's. The HS-2 is stacked (a humbucker) which EJ wires for single coil. Yeah, it's an EJ thing, okay... So do your research. Obviously the above pickups favor more traditional Strat tones, which is what we're about around here. If you want your Strat to go more shred, there are a variety of higher output dual rail pickups and stacked configurations to explore. 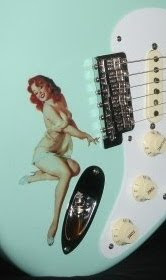 Ed Note 12/29/14: A Strat pickup survey on Facebook revealed a surprising number of responses favoring Van Zandt pickups. I have no experience with them, but check 'em out! Seymour Duncan Wiring Diagrams features dozens of wiring configurations to try out.